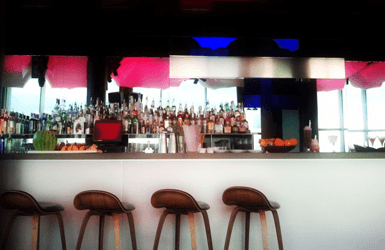 Home » SHOULD YOU STAY AT THE BARCELONA W HOTEL? It can’t go unnoticed. This sail shaped building of 99 meters high at the seaside it’s seen from miles away, changing completely the seascape. 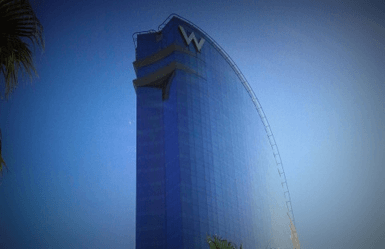 Although its polemic construction at only 20 meters from the sea (Spanish law states 100 meters from the sea), it has already become an emblematic contemporary building from the city, and the first hotel in Western Europe from the Starwood Hotels and Resorts chain. The architect was the well-known Ricardo Bofill. The drink bar of the Barcelona Hotel W is definitely worth a visit, as much as for its great cocktails and music, as for its views. It’s located on the 26th floor and it’s open every evening. Go at sunset if you are not a party goers, or arrive after midnight for a magical and chic dancing night. Don’t hesitate to try their Passion Fruit Martini or a Mojito! It deserves a huge Wow. Two complete floors and 700 square meters dedicated to beauty and relax. There’s a boutique, two manicure and pedicure nail stations, treatment rooms, sauna, steam room, Jacuzzi… and a wide range of Trademark Bliss services. Check their website for weekday discounts! Have you ever wonder what people from Barcelona from the 15th to the 18th centuries ate? Carlos Abellán, Michelin star chef, cooks at the Bravo 24 restaurant traditional old recipes using modern methods and high quality products. Meat, fish and seafood are the main dishes, often broiled on wood or charcoal to preserve all natural flavors. It also offers an all-day tapas service (we love their bravas, bombas and croquettes). 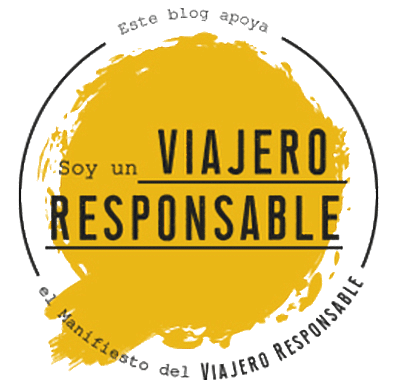 Unfortunately, not many hotels are committed to be sustainable… But the Barcelona W Hotel makes a great effort to be eco-friendly and reduce the impact on the environment while keeping a luxurious atmosphere. Recycling, conscious water consumption, power saving systems, use of sustainable products… As they state, ‘it’s cool to be green’. Well done! AND BONUS! Is it everything that great or are there any downsides? 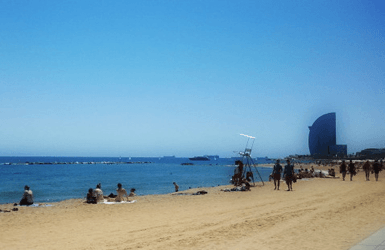 While the Barcelona W Hotel is one of our favorite beach hotels in Barcelona, it’s not a good choice for everyone. Often we’ve had guests staying there and complaining about certain things. For instance, we’ve often heard that the rooms are so trendy… they become inconvenient: people having difficulties figuring out how to switch off lights and not being too happy about the transparent wall separating the toilet from the bedroom are usual complaints. The location isn’t either as great as you’d think: aside from the beach, there isn’t much more to do over there: you’ll end up taking taxis all the time to do your sightseeing and shopping, and eating out unless you prefer to have dinner at the hotel. By the way, many people aren’t too pleased to discover that the beach right below the hotel is often frequented by naked gay (not totally nudist, though, but a mix). So what about you? 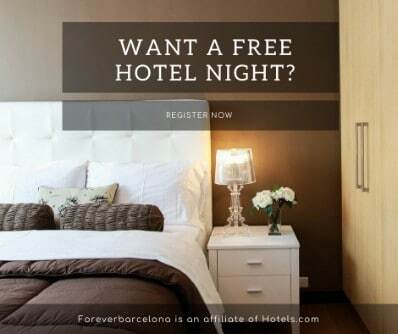 Head to the comments below and tells us: Would you stay at the Barcelona Hotel W and why?